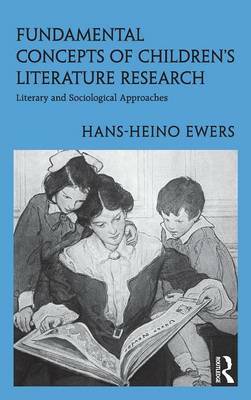 In this book, Ewers provides students and professors with a new system of categorization for a differentiated description of children's literature. In the early 1970s, Swedish children's literature scholar Goete Kingberg worked to establish a system of scientific terminology for international use, but these terms are now somewhat antiquated. This book offers a much-needed update, systematically analyzing the field and articulating its key definitions, terms, and concepts. International in scope, this study touches on subjects including the distribution of primers and textbooks, the means by which children's books are evaluated and classified, and the ways in which children's literature can find an adult audience. Also discussed are the system of symbols, norms, concepts, and discourses that have evolved during the past two centuries, leading to an investigation of how authors and publishers have endeavored to make literature "appropriate" for children and of what it means to accommodate children's needs, wishes, and values. Throughout, Ewers provides concrete examples and clear definitions of terms so that any scholar interested in children's literature will find this book approachable, insightful, and one that crosses cultural boundaries.